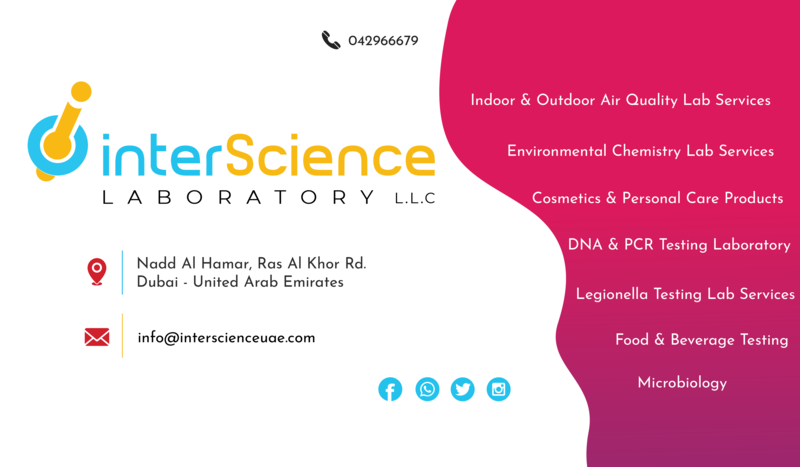 InterScience UAE is one of the famous and leading laboratory service centers in Dubai. We provide many lab services for our customers. We have a huge team of international professional to meet your laboratory testing needs by using modern good equipment at the cheapest rate. We have provided many services like Cosmetics & Personal care products testing, DNA & PCR testing, Food & Beverage testing, Indoor & Outdoor air quality testing, Legionella testing, Microbiology lab, Chemistry lab and so on. And we specialize in providing health and safety environmental testing services such as air quality monitoring, noise monitoring services and stack emission monitoring. Our mission is to deliver a comprehensive range of professional, high-quality monitoring and testing services throughout the UAE and GCC.